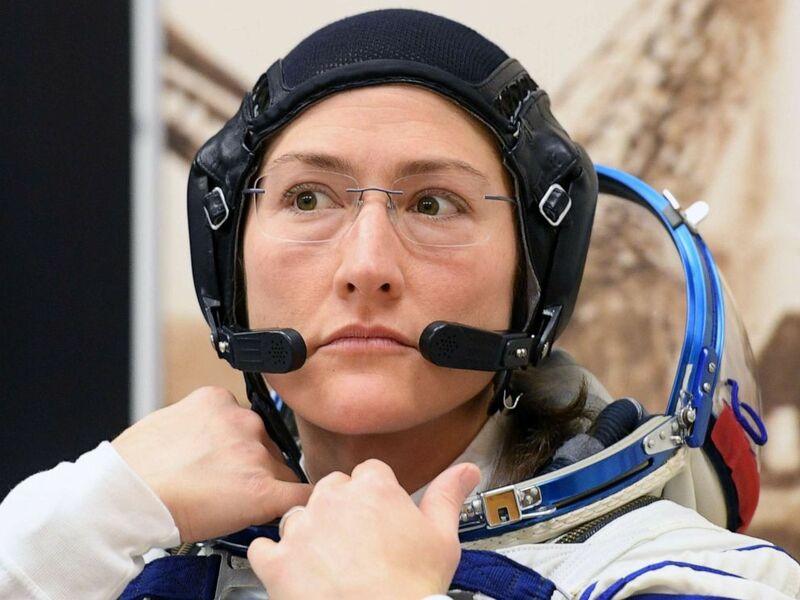 Last month, NASA astronaut Christina Koch was less than a week away from a historic all-women spacewalk before a spacesuit availability problem nixed that plan, but Wednesday the space agency announced its intentions to give Koch a different piece of history. This one will just take a lot longer. NASA astronaut Christina Hammock Koch, a member of the International Space Station expedition 59/60, looks on as her spacesuit is tested prior to launch from the Russian-leased Baikonur cosmodrome in Kazakhstan, March 14, 2019.